Edition 23 Business Days will bring the most impact business growth event for the fourth time in Iasi. As in previous editions will be attended by top speakers, events carefully chosen based on market research in February in the business environment in the region, many business networking opportunities and the opportunity to grow their businesses. 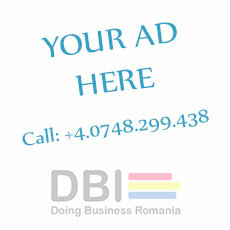 Do not miss business event of the year in Iasi. Book your place at the event regarded speakers, partners and participants as the largest, most relevant and highest impact business event in Central and Eastern Europe, dedicated business development. Stay connected and follow our blog posts Business Days (www.businessdays.ro) on page facebook (facebook / BusinessDays) page on youtube (youtube / BusinessDaysRo) or any other platform Business Days. To be up to date, to learn first event schedule and speakers we recommend to subscribe to the newsletter on www.businessdays.ro.